I completely deleted the post that I was drafting for Wednesday by MISTAKE!!! I was about ready to chuck my laptop out the window. Doubt that’d go over well with his parents. I’m still loving my vegan lifestyle, health, and wellness, but as we found out a few posts ago, wellness is about more than food & exercise. So I’ll be trying some new things this week…let’s see how we like it! Anyway, I wanted to take this opportunity to talk about some of the things I was going to talk about on Wednesday. 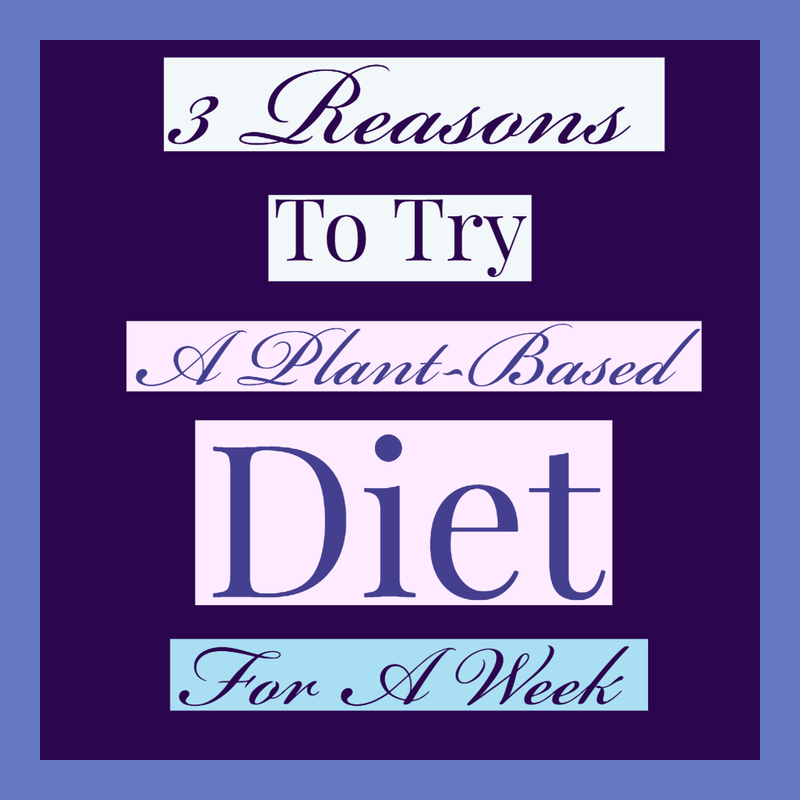 Remember back when I posted that blog post about the differences between the plant-based diet and vegan diet? I’ll spare you the fine deets so you can go read that post. But basically, a plant-based diet focuses on the health benefits of whole, plant-based foods, and vegan diets focus more on the activism. I guess you could say I’m more plant-based than vegan, since I’m not really trying to convert anyone. If it don’t have animal products, I figure it’s ok for me to eat. But I’d really like to see what happens if I cut out oils, added salts, and added sugars for a week. Thankfully, I’m not in the habit of eating these things every day anyway, so it shouldn’t be too hard. A lot of the foods you eat on a plant-based diet are anti-inflammatory. I don’t personally suffer from any of these at the moment, but diabetes does run in my family. I’m always having to watch for signs and symptoms, like neuropathy. So I’m hoping that by sticking to a plant-based diet and cutting out refined sugars and carbs, I’m gonna feel a difference in my body. Ugh, I am NOT a morning person. Which is a problem, because my day job tends to start around 10 or 11 most days. I’d also really like to integrate my workout back into my mornings right before or after breakfast, but with when I wake up, I don’t have any time. One of my reasons for going vegan was that meat and dairy products left me feeling heavy and tired. That and healthier options were more expensive, so it made more sense to cut them out. But large amounts of processed foods make me feel the same way. Even if they’re vegan. Why? Because digestion takes time and energy. Your body has to work really hard to digest just one meal…(not to mention the fact that most of us don’t chew our food properly, so it’s harder on your digestion, but that’s another post for another day). There are a ton of things that we put into our body that get stuck somewhere in our miles of intestines, simply because it’s too hard on your gut. The more energy your body is putting into this process, the less you have to put in other areas in your life. Honestly, I just wanna try simplifying (or re-simplifying) my diet and see if it makes it easier to wake up in the mornings. From there, I’ll see about working in 20-30 minutes of yoga each morning. You may or may not have seen this one coming. The research I did for the original Wednesday post was about how plant-based eating can affect your mental health. 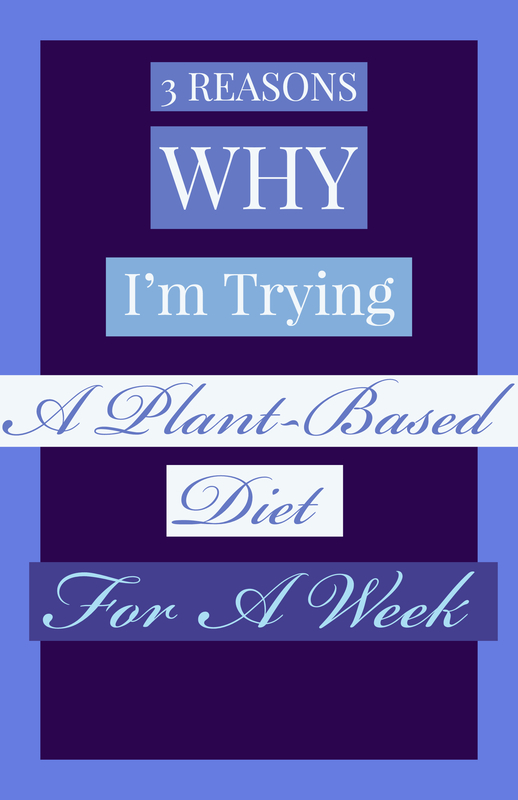 Mainly because I’ve been in a funk for a while and again, I’m wondering if adjusting my diet can help. Same way that working out can increase your endorphins and perk you up. But did you know that inflammation in the body contributes to poor mental health as well? Thanks to a study I found through Ordinary Vegan, it can be concluded that “inflammation…may be involved in the pathogenesis of depression”. Well, the study goes on to talk about something called the gut-brain axis. In short, it’s the link between your “central and enteric nervous system”. Your emotions and your intestines. So if your intestines are inflamed, it can affect your brain function. But reducing your intake of red meats and dairy products can bring down inflammation in your gastrointestinal tract. Add to that adjustment the consumption of cruciferous veggies (broccoli, cauliflower, cabbage) and some fruits and you can drastically improve your gut health. Which can drastically improve your mental health. So it’s probably a no-brainer that whole foods are more likely to have a higher nutrient content than processed foods. We’ve already covered that they’re easier on the digestive system, but they’re also just worth more bang for the buck. According to Jewish Food Hero, plant-based foods are rich in nutrients that help maintain mental health. Omega-3 Fatty Acids: good for your brain health… the reason why certain foods are called “brain foods”. Tryptophan: gets that serotonin flowin’. It’s the ‘happy chemical’. Vitamin B: help to up your energy. Which means you’ll have more to give to working out and other things that make you happy! Oooo, that last one is the kicker. Vitamin D is the reason why you should probably get as much sunlight as you can (don’t forget your sunscreen!!!!!). Now, I’m saying this as someone who lives in a region where I can’t get all of my Vitamin D from the sun. There’s just not enough of it on a daily basis. If you live in a super sunny region, like some places in Cali or even further down (closer to the equator), you don’t have to worry about this as much. But basically, Vitamin D is a hormone regulator. It helps your body produce balanced levels of what it needs to produce. If you’re not getting enough of it, you might experience some serious mood swings. So make sure you’re getting enough. Eat lots of oranges, don’t be afraid to sunbathe. I know that’s what I’ll be doing this week, especially since the weather’s gotten warmer here in MD. This isn’t a quick fix for mental illness. You may still need to maintain any therapy or medical help you’re receiving. But choosing to be healthier will ultimately help you maintain everything else you’re working on. If you liked this blog post, please comment, share, and follow me on social media!